7. Can you repair my Chacos? 8. How do I un-stick my Chaco straps? 9. How do I adjust my sandal straps? 10. What styles do you make in wide widths? 11. 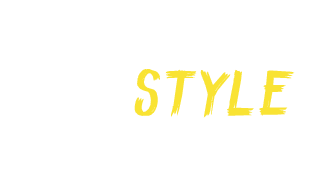 What are the differences between your sole styles? 12. 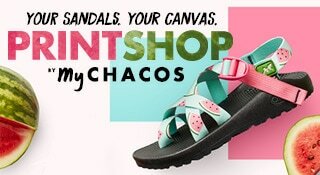 How can I request a Chaco sticker? 13. What are Chaco's community guidelines? 14. I’m from the media, who do I contact? 15. Can I get free sandals for sending Chaco a picture of my Chaco tan line? We do not accept cash, CODs, checks, credit card gift cards (unless bank issued) or money orders. Wash sandals frequently. Obvious, but people forget. Wear your sandals in the shower. Why not? It's fun. Well-loved sandals can collect dirt and debris. We’ve compiled a list of tried and true recommendations for cleaning your favorite pair. Wash once per season, but if you wear your Chacos everyday we suggest washing them once a month. Additionally anytime you wear them in salt water or in a chlorine pool, rinse them in fresh water afterwards. It is very important to floss following any beach or muddy environment adventures (see flossing instructions below). Wash your sandals with a load of laundry on gentle cycle using mild apparel/fabric detergent or baking soda with cold water. Let your sandals air dry—do not put them in the dryer. Do not use bleach, ammonia, hydrogen peroxide, chlorine, vinegar, alcohol, or other corrosive chemical cleaners. This can damage the straps and footbed. Do not wash your sandals in a family or industrial dishwasher. High heat can damage the adhesive cementing the outsole. Soak sandals overnight in 1 part water and 1 part unscented liquid fabric softener. Then pull the webbing back and forth through the channels to clear the webbing of dirt and debris. Rinse or wash sandals after flossing. Scrub the footbed of the your sandals with baking soda and water using a soft, bristled brush (like an old tooth brush). Rinse and let air dry. 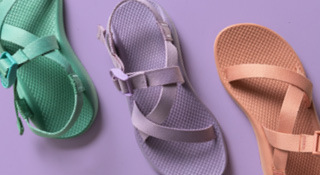 A note on Chaco hygiene: Because Chaco products are designed with simplicity and functionality in mind, all Z sandals are equipped with a continuous webbing system that flows underneath the footbed. This allows you to adjust the sandal and obtain a perfect fit, every time. To prevent unneeded wear on your sandals, floss the webbing after each wash to remove any grit from the channels. Hand wash with a damp cloth & gently blot the area that needs cleaning. Air dry! Allow wet sandals to air dry. Do not place leather sandals in the dryer or near any heat source (this may cause the leather to become brittle and crack). Leather conditioner is your friend. Use a high quality leather conditioner to help preserve your sandals (Note: this may darken their color). Yes, we are able to repair soles and straps on our 'Z' sandals along with some other minor repairs to other models. 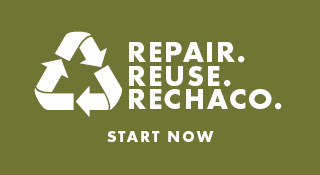 To see what we can repair and for more information on ReChaco, please visit our ReChaco page. 8. How do I un-stick my Chacos? Mix together in a bucket 1 part water and 1 part unscented liquid fabric softener. Let the sandals soak overnight, then pull straight up on the straps where it comes out of the sandal. Be sure not to pull the straps at an unnatural angle, this can tear the footbed. After un-sticking, rinse or wash your sandals. If you need some help unsticking the straps—we’re here for you. Send your sandals in to our ReChaco team using our repair form. Click here to see our tutorial on how to adjust your Z/Sandals. If you’re looking for a wide width, we have some great options in our Z-Series sandals. 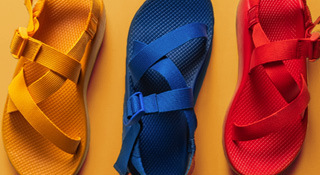 Additionally, you can easily build a custom Z-sandal in wide width through MyChacos.com. Both of these have our fantastic LUVSEAT™ footbed. In addition, our Flip EcoTread is offered as a more casual option. Below are links to the wide widths offered on our website. 11. What are the differences between your outsoles and footbeds? ChacoGrip™: Made by us, for us. Our proprietary outsole design features non-marking rubber in men’s and women’s-specific tread designs. Traction on the toe provides excellent uphill and downhill grip, while the lug design provides footing on both dry and slippery surface. It is built to perform and built to last. EcoTread™: Our lightweight rubber compound is made from 25% recycled rubber content. It is easy on the environment and great for your everyday adventure. Colorado: Light weight, low profile sole that maximizes surface area for excellent traction in slick environments. Made in the USA. Terreno: Our 4.5 mm of lug depth will give traction and durability on any trail. This sole is excellent for hiking trails and rocky terrain. Made in the USA. Classic: Our classic footbed features firm PU construction that won’t compress or lose its shape with wear. Featuring the ergonomic and all-day comfort of our LUVSEAT™ design. Cloud: For extra cushion underfoot, our Chaco Cloud footbed features lightweight, dual-density PU that balances durability with comfort. Featuring the all-day comfort of our LUVSEAT™ design. Z/Volv: Classic Chaco design features a less intense arch support and is 20% lighter than our Z/Classic and Z/Cloud sandals. To request a Chaco sticker, please visit our Sticker Request Form. At this time, stickers can only be sent to U.S. mailing addresses. 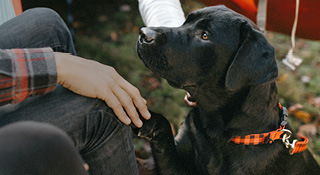 At Chaco, community is one of our core values. To us, that means open communication with each other and the brand. We’re grateful for your interaction with us and we welcome your honest opinions and experiences with our brand and products. Complex customer service issues are best handled through our dedicated Customer Service Team. Thank you for sharing your experiences with our community. 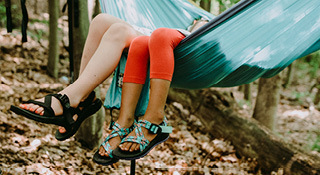 This is just a myth, but enter our monthly giveaway for a chance to win Chaco gear!